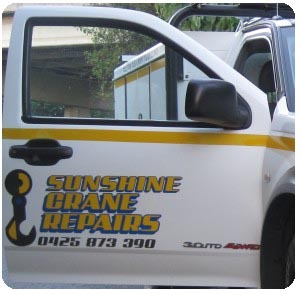 Sunshine Crane Repairs can provide all your electrical inspections and testing and tagging requirements, we cover South East Queensland through to our own in house test and tag service. The Occupational Health & Safety (OH&S) Act throughout Australia demands that portable electrical equipment including electrical hand tools such as drills, grinders, saws, as well as extension leads, power boards, computer power cables, kitchen portable appliances and all other electrical equipment that is used in the commercial and industrial workplace must be tested and tagged. The Occupational Health and Safety Act places a duty of care to provide a safe workplace. Failure to maintain electrical equipment in a safe condition or to use equipment in accordance with manufacturer’s instructions may result in injury or death to you, employees, or other parties. To meet the duty of care it is necessary to ensure that risk of injury from electric shock for all people at the workplace is reduced as far as is reasonably practicable. A method of achieving this duty is by testing and tagging electrical equipment, and implementing procedures for use of electrical equipment.